1/17 Upper Bow, Old Town, Edinburgh, EH1 2JN is for sale at the moment. That's right up at the roundabout outside the Hub, at the top of the Royal Mile. 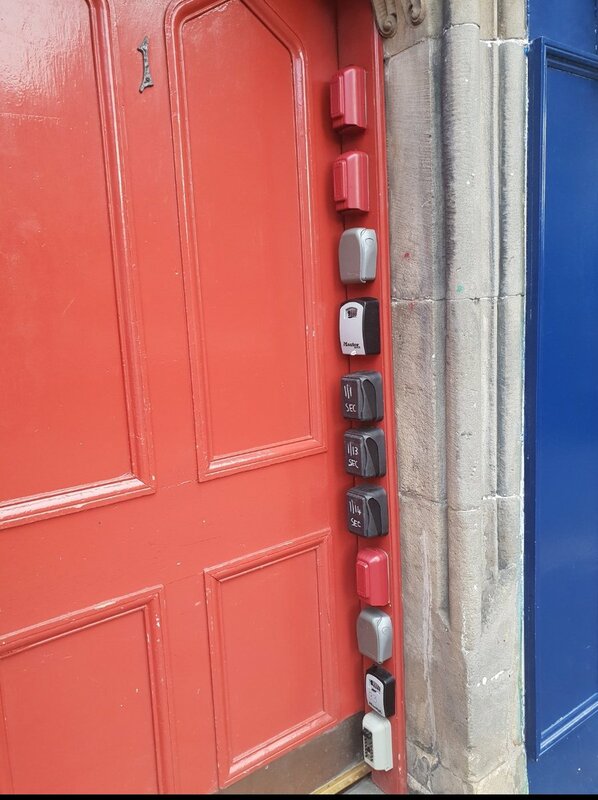 Andy Wightman MSP has an article in the EEN today and The Times Scotland about the (il)legality of keysafe boxes, and a paper on the subject. Some may say it isn't important to the Grange Association area but it is changing the face and demographics of Edinburgh, and there are a number already operating, certainly within my own newsletter delivery area. Shelter says 1:11 Edinburgh city centre properties are on AirBandB ?!! A good tip on checking out AirBnB properties in the Grange is to do just that, logon to the AirBnB website and attempt to book one and have a look around at their photos / reputation and form your own opinions. I have my own opinions but don't wish to share them here. I don't think Airbnb is much of a threat to the Grange, but it is undoubtedly changing the demographics of the city centre. There will be a loss of community. Just ask my friend who lives in Well Court, Dean Village - a World Heritage site. He is one of only 7 owner-occupiers left - out of 46 flats. The rest are short-term lets, whether Airbnb or other. With the cobbled courtyard in the centre and stone spiral staircases, the constant noise of wheeled weekend bags, parties coming and going, is driving him to leave. Mingle Forum by Cartpauj | Version: 1.1.0beta | Page loaded in: 0.225 seconds.